Dietary supplement is recommended for persons, controlling their weight. This combination makes this product the most wholesome source of nutritive substances and vitamins for the human body. One of the most valuable properties of this product is the presence of bromelain digestive enzyme – a complex of high-activity proteolytic enzymes, breaking down proteins. 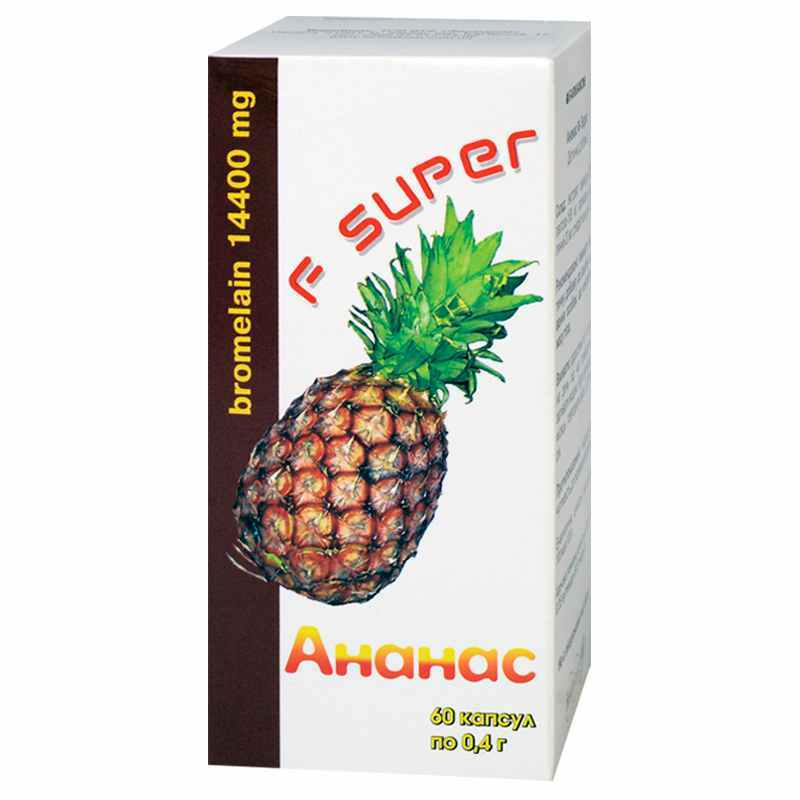 Biologically active substances, contained in the pineapple, stimulate digestion, increase enzymatic activity of gastric juice, blood pressure reduction, blood thinning and reduction of the risk of life-threatening cardiovascular diseases, such as atherosclerosis, thrombosis, stroke, and myocardial infarction. High content of potassium salts helps excreting excess fluid from the body, thus contributing to weight loss. The fact that pineapple increases serotonin level in blood, blunting hunger, contributes to fight with excess weight. Adult stake 1-3 capsules a day with food, wash down with water. Term of use is one month, Repeat twice-thrice a year. Proteins – 0.35 g; carbohydrates – 50.9 g, fats – 0 g.